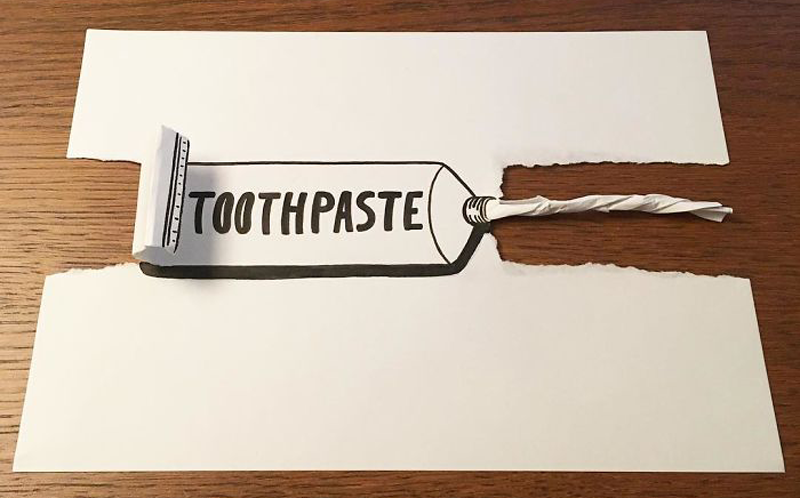 The invitation gives your guests the first impression of your wedding, so it makes sense to inject it with the qualities that you want your big day to have. 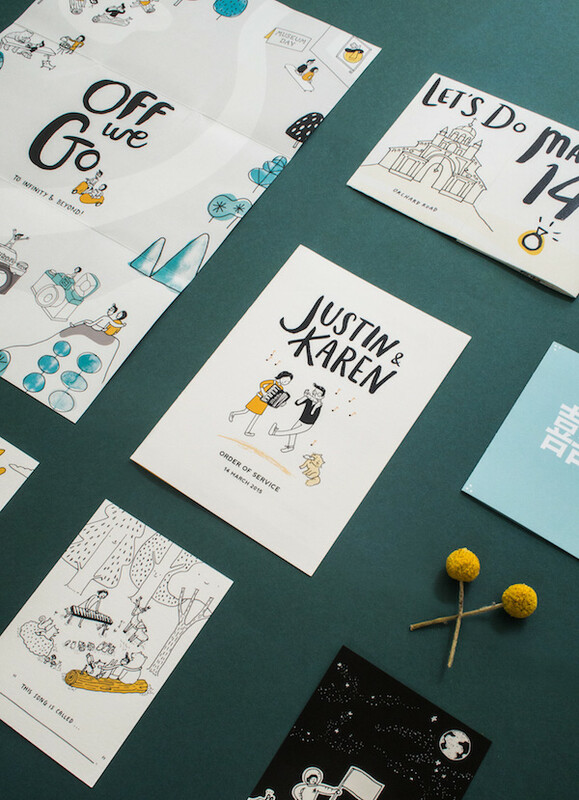 Based in Singapore, illustrator and designer Xinnie of X Spots The Mark has created a quirky wedding invitation that reflect the fun-loving personalities of couple Justin and Karen. 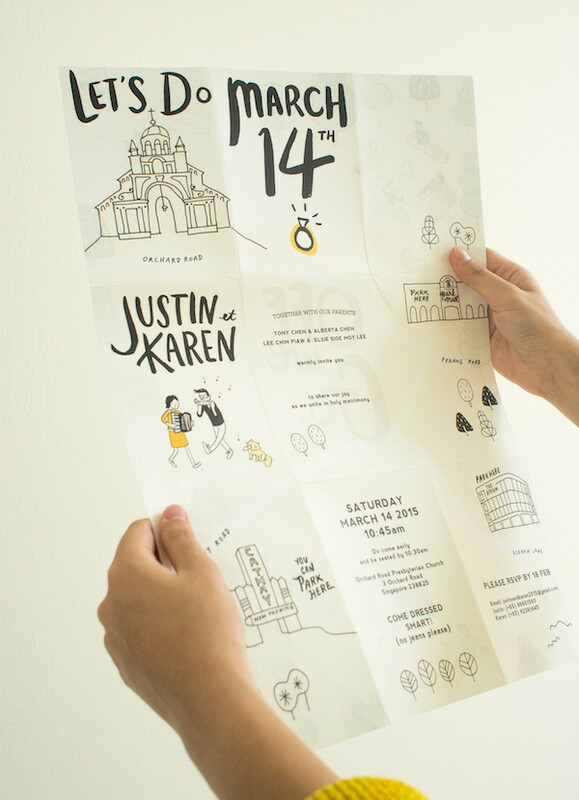 Featuring cute illustrations of the couple and the venue, this creative invitation unfolds to offer more details about the event, such as the RSVP deadline, parking spaces and dress code. 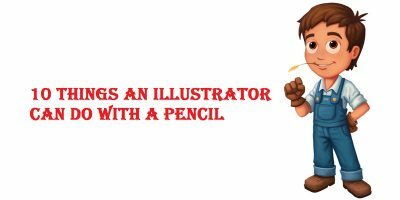 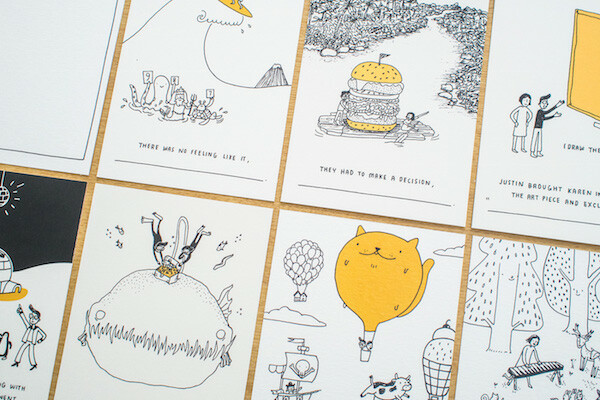 On the flip side of the invite, you would find a lovely poster with hand-drawings of the couple doing the various things that they love—Xinnie has also created a series of amusing illustrated note-cards where guests can fill in blanks to complete sentences regarding the wedding duo. 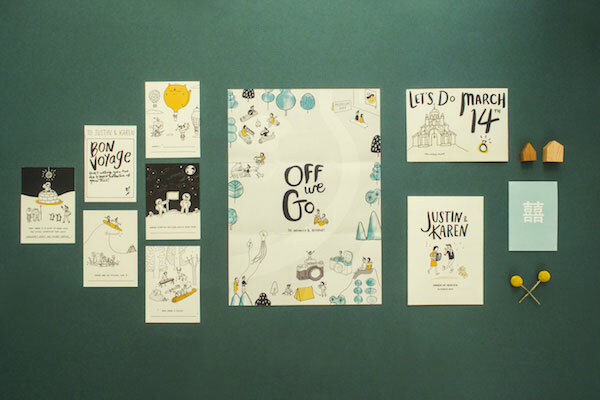 Scroll down to view more images of this quirky wedding invitation, or head over to the designer’s website to check out her portfolio.